Rebellion and attempts at secession have flared ever since in Indian-ruled Kashmir which has a restive Muslim majority, and minorities of Sikhs and Hindus. 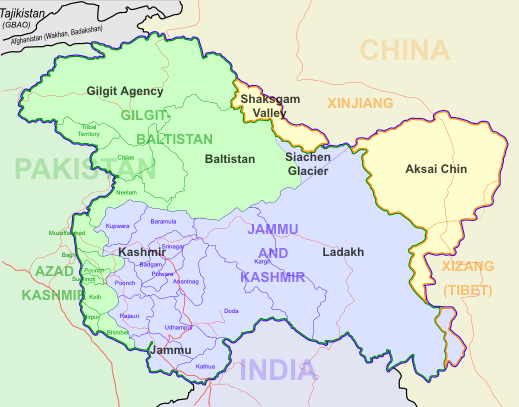 In fact, the Kashmir conflict is now the world's oldest major crisis. The UN's calls for a plebiscite to determine Kashmir's future have been ignored by India. It is a grave mistake for the world to ignore Kashmir. My first book, "War at the Top of the World," explored the Kashmir crisis and Indian-Pakistani-Chinese-Tibetan rivalries in the Karakoram and Himalaya mountain ranges ( a work inspired by my talks with the Dalai Lama). A decade ago I called Kashmir the 'world's most dangerous crisis.' It remains so today. . . .